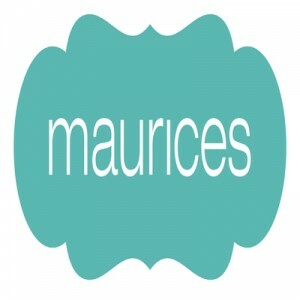 Maurices is one of the largest women’s clothing retail chains in the United States. Its offerings include women’s casual wear, footwear, high-fashion clothing, and jewellery among other accessories. The company is well known for offering a wide 0-26 size selection. The company was founded by E. Maurice Labovitz and later on became a family business. In 1978, Labovitz sold the company to the Brinninkmeijer family after which it was acquired by the Ascena Retail Group in 2005. The women’s clothing line now operates in more than 1,000 locations across the United States and Canada with an estimated 16,000 employees. The company was hailed as one of the Top Ten Best Employers in Retail by Forbes.com in 2011. The award attests to the company’s generous benefits package which includes an amazing health insurance, a 401(k) retirement plan, paid personal leaves, and a 40% discount on all store items. The clothing chain claims its success from its people first policy which puts premium on the well-being of its employees. It implements a ‘work smart, and have fun’ office culture which compensates for the fast-paced work environment. The minimum age to work at Maurices is 18 years old in accordance to federal laws and regulations. Applicants 18 years and above may submit their resumes to any of the branch locations across North America. Fit Model (Maurices size 16, 18, or 20) – Fit Models are part-time positions responsible for trying out garments, and allowing technical designers to adjust, modify and evaluate clothing fit and quality. Fit Models are also expected to provide feedback on garment comfort and fit. Stylists – The company needs stylists who will be responsible for directly engaging customers and providing styling suggestions based on their personal preferences. Stylists are expected to have a high fashion sense and knowledgeable with the latest fashion trends. They need to be open-minded, too. Associate Designer, Sweaters – The Associate Designer works hand-in-hand with Senior Designers in the sweaters product category. The associate designer is responsible for creating the vision for each season and working closely with the functional team support in design, CAD, merchandising, and production. Technical Designer – The Technical Designer is in charge of coordinating and monitoring a garment’s technical development process from design to production. They are responsible for adjusting garment products based on customer testing feedback and quality control. They need to be creative. Manager in Training – The Manager in Training (MIT) works closely with the store manager and its team to achieve sales goals, and provide excellent and focused customer service performance. The MIT is also responsible for executing visual standards approved by the management. Assistant Manager – As Assistant Store Manager, the person will be primarily responsible for assisting the supervision of store associates. Assistant Managers are expected to demonstrate a high degree of leadership qualities and must be keen in keeping with the company’s operational practices. Warehouse Associate – The Warehouse Associate position is in charge of maintaining the store’s warehouses’ cleanliness and orderliness. Warehouse Associates work closely with stylists and managers in keeping the inventory line going. They need to have good organizational skills to keep everything in order. Creative Production Coordinator – The Creative Production Coordinator is responsible for managing the workflow of print and digital projects of the company. The position requires closely working with the creative team, designers and the company’s business partners to ensure on-time delivery of products. Manager, Social Media Marketing – As manager for social media marketing, the position helps build and launch high-impact marketing campaigns on social media. Campaigns should be designed to drive awareness and preference for the brand and lead to greater social media influence and engagement. Digital Communications Specialist – The Digital Communications Specialist is in charge of implementing the company’s internal communications program in line with the company’s vision, objectives and culture. They work hand-in-hand with the Marketing Department to achieve the company’s goals for sales and revenues. How to Apply? You can visit the company website and click the ‘search jobs’ tab in the menu. Click ‘search openings’ and narrow down your job search by city, state, title, and/or keyword to select a job opening. Is online application available? Interested applicants are encouraged to submit their applications online. Applicants can also submit their applications via a mobile device or tablet. Tips for filling application form. Filling out the application form can take 15-20 minutes. Majority of the questions are meant to explore your personal background, educational attainment and employment history. Advice on resume. Prepare a list of pertinent details such as your social security number, emergency contact information, as well as your W-4 and tax information. Advice on interview preparation or process. The interview process doesn’t take long and is quite straightforward. Remember to be as honest as possible and highlight your experience in the fashion industry or related fields, if any. People-First Culture – The company believes in the value of its human resources. With its people first principle, it puts premium on the health and well-being of its employees. Celebrating Everyday Sheroes – In honor of International Women’s Day every March 8, the company celebrates women from all walks of life through its #Sheroes campaign. The campaign recognizes the amazing contribution of mothers, daughters and women leaders in society. Maurices Stylists – The fashion retail chain is largely known for training all of its employees to be able to style customers from head to toe. Its employee training program includes a crash course on the latest fashion trends. Shop Pink. Give Hope. – The company takes part in efforts to combat breast cancer through its Shop Pink. Give Hope initiative which is part of its participation in the American Cancer Society Making Strides Against Breast Cancer. 1 How old do you have to be to work at Maurices?